Lemax Doggie Dress Up Figurines (Set of 3) depicts three children figurines in the process of dressing up their pet dogs in Christmas clothing, as their dogs enjoy joining in the festive fun. 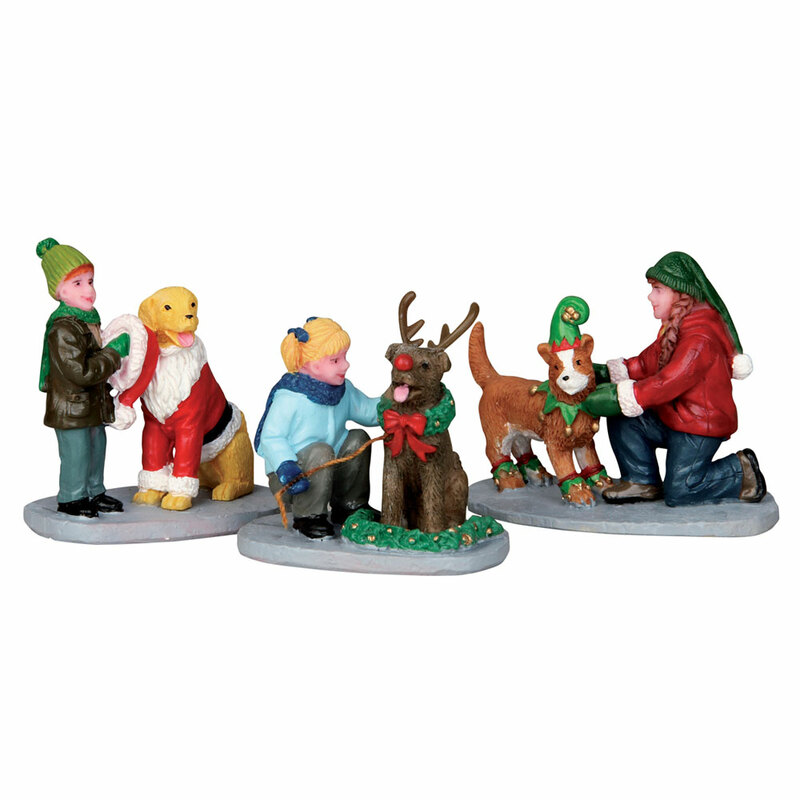 A delightful Lemax Village figurine miniatures set which joined the Lemax collection in 2015. 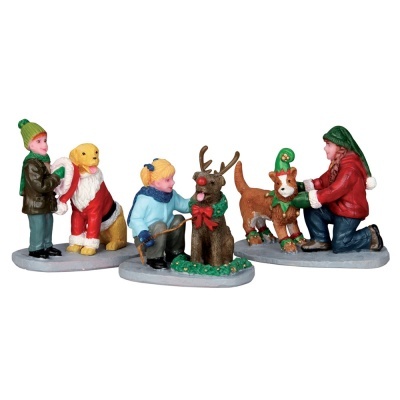 Doggie Dress Up set comprises of six individual hand painted polyresin figures on three individual bases to compliment your seasonal Lemax Village Christmas display.